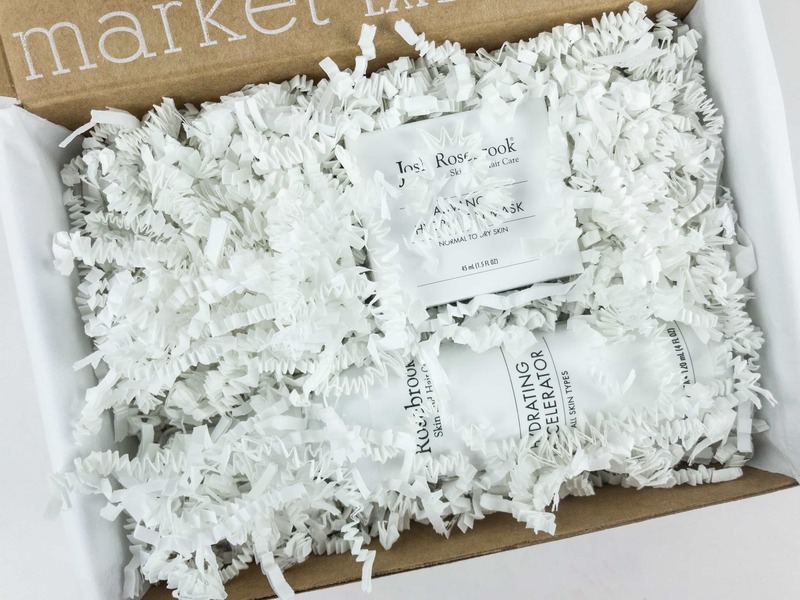 The Detox Box is a new monthly green and natural beauty subscription box from The Detox Market. For $49.95 each month, you’ll get a box featuring one or more green beauty products with a value of at least $90. 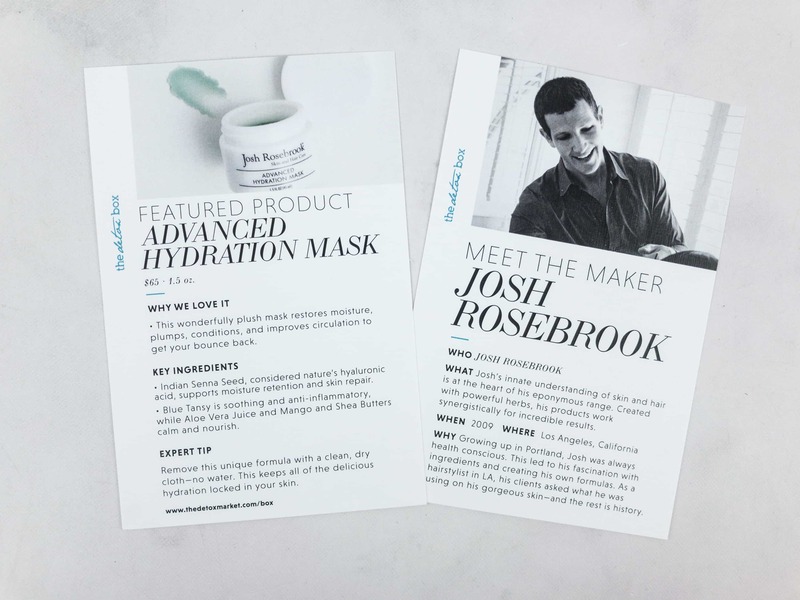 This month’s featured product is brand is Josh Rosebrook! 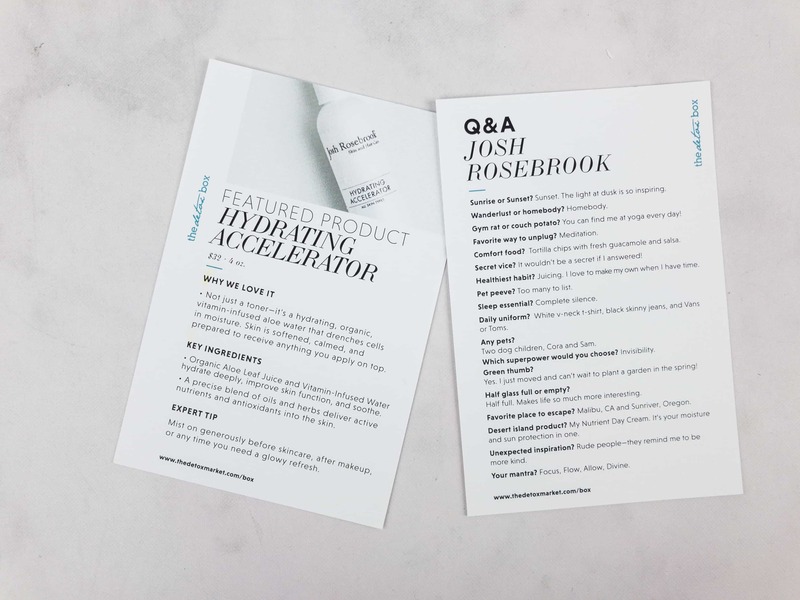 The back of the card gives you more insight about the product of the month. There’s also another card that tells you about the maker’s background, plus a little Q and A at the back. Everything in the box this month! 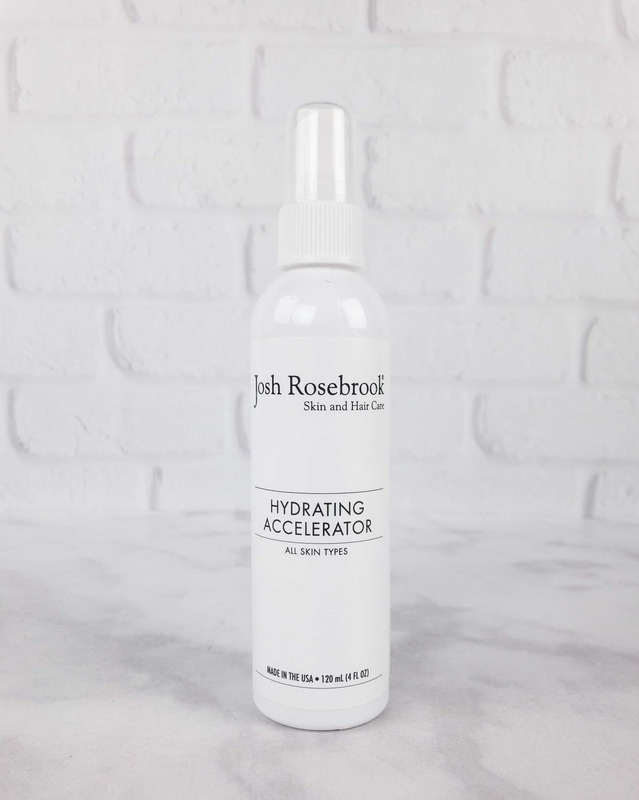 Josh Rosebrook Hydrating Accelerator ($32) Ideal for all skin types, this formula functions as an all in one toner, moisturizer and hydrator. It contains vitamin-infused aloe water that hydrates deeply and improves skin function. I’m glad that it comes in a spray bottle that produces a light mist, each spray makes me feel so refreshed and hydrated! Three sprays should be enough after cleansing the face and, since I received it in full size, I think this is going to last for quite a long time. I’ve been using it before anything I put on my face though! I absolutely LOVE IT. 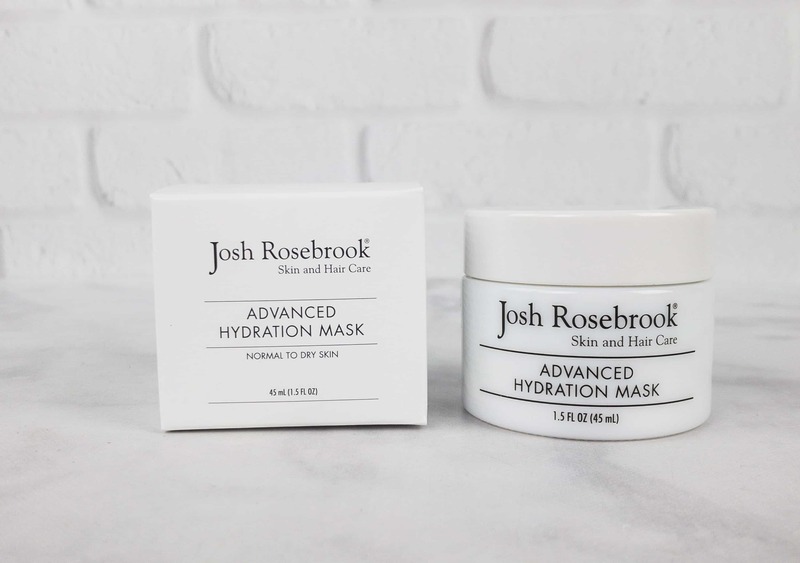 Josh Rosebrook Advanced Hydration Mask ($65) Also included in the box is a hydrating mask, the perfect companion for the hydrating mist! 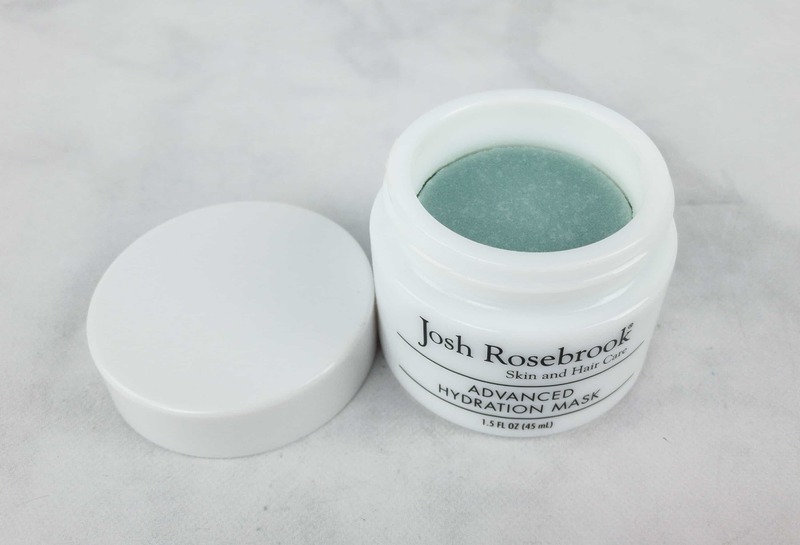 While the skin is still damp from the mist, you can apply the Advanced Hydration Mask and leave it on for 15-25 minutes. It feels so gentle on the skin, thanks to aloe vera, whole organic actives, and rich plant oils. I love how lightweight the mask is, not to mention the instant dewy glow it brings. And I’m just so glad to know that a product as good as this is certified organic and non-GMO. My fave part? You remove it with a clean dry cloth – no water! And unlike every product I’ve actually tried like this, it really works! The overall retail value is $97, which is almost double the cost of the box. The selection of items is really impressive too. Both the mist and the mask are going to be useful for me, especially in the winter months when my skin needs extra hydration. If you want to discover the best in green beauty, this is such a worthy subscription to try! What do you think of this month’s Detox Box featured goodies? 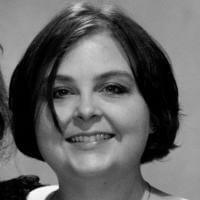 Visit The Detox Box to subscribe or find out more! 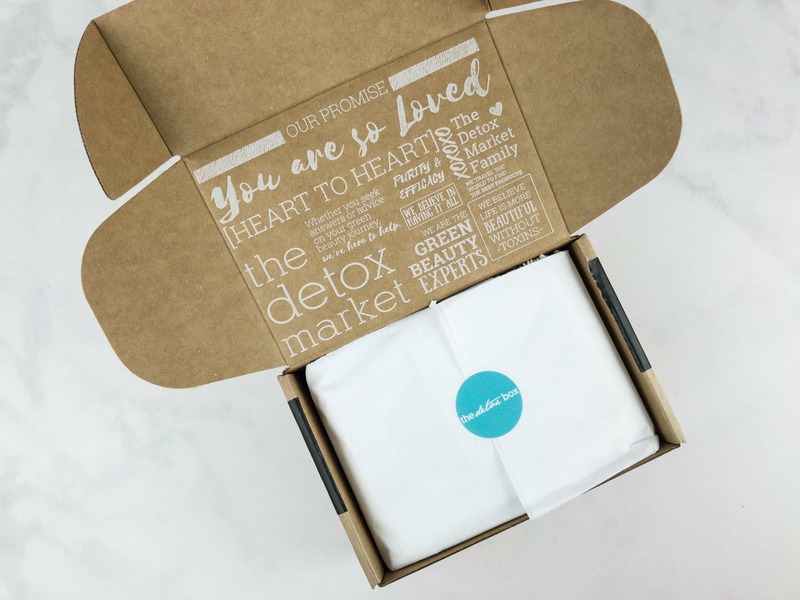 Each month you’ll get a box featuring one or more green beauty products from The Detox Market's selected brand of the month at a value of at least $90.